Developing immunotherapies to treat acute lymphoblastic leukemia (ALL) can be challenging due to the condition’s poor antigen presentation, lack of costimulatory molecule expression, and resistance to cytotoxic killing by immune effector cells. Recent studies have suggested that immune tolerance may contribute to the difficulties associated with developing effective immunotherapies to treat pediatric ALL. Several studies have shown that certain chemotherapy drugs, such as the anthracenedione drug mitoxantrone, are unique in their capacity to induce an immunogenic type of tumor cell death. Immunogenic cell death can stimulate an adaptive immune response against dying cancer cells and improve the clinical outcomes of patients with certain malignancies after chemotherapy. 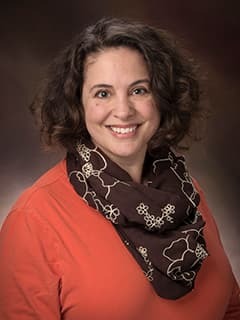 Alix E. Seif, MD, MPH, and researchers at the Center for Childhood Cancer Research are studying the ability of mitoxantrone and other agents that can lead to immunogenic cell death to potentiate immune responses to pediatric ALL. Studies are underway to examine the effects of immunogenic chemotherapies on antigen presentation in ALL tumor cells to determine whether immunogenic cell death can potentiate adaptive immune responses in pediatric ALL by disrupting immune tolerance. The Seif Laboratory is also studying whether combining chemotherapeutics that lead to immunogenic cell death may synergize with approaches to stimulate immunogenic antigen presentation and/or agents that help circumvent peripheral immune tolerance to lead to durable, multi-antigen immune memory responses against ALL.